I may be 'The Official #TwitterPartyDJ' but nothing thrills me more than actual CD's. Don't get me wrong, I love my iPod, I love having all of my music library at my fingertips, it makes long commutes that much more fun and a bit shorter and plane rides more bearable. But an actual CD and jacket, pictures and lyrics are still my favorite way to hear new music. On her latest album The Abbey Road Sessions, Kylie Minogue slows things down and allows us to reflect on what makes her great and one thing becomes very clear - stripped of her high-end pop production, the emotional resonance of Kylie’s songs has never been clearer, and her voice has never sounded better. The album features 16 tracks, which span Kylie Minogue's 25 years in the music industry, as well as a new song titled "Flower", which was released as a single to support this new album. The album was recorded at the famous London's Abbey Road Studios with Minogue's band and a full orchestra, the album has a orchestral 'jazzy' vibe that allows you to just get lost in the songs, think romantic dinner for two, late night jazz club with a glam Torch Singer on the stage. With Kylie being so strongly associated with pop and dance, this album is a nice departure from her norm, and not just another 'greatest hits' milestone album. Sadly the only track that fell short for me was the song I actually like from her the most, 'Can't Get You Out of My Head', the way this track was re-worked made it sound sort of like a 'Dancing With the Stars' version of it. I think the original is way better than this version. The duet with Nick Cave I'm a bit mixed on as well, my inner DJ says it just doesn't flow with the rest of the album, and it definitely doesn't seemed well placed after "Can't Get You Out of My Head", however, "Flower", the new track and the single for this album I greatly enjoyed! Ƹ̵̡Ӝ̵̨̄Ʒ - Australian Bonus Track: 17. "Wow"
Ƹ̵̡Ӝ̵̨̄Ʒ - Japanese Bonus Track: 17. "In My Arms"
Ƹ̵̡Ӝ̵̨̄Ʒ - Minogue has achieved worldwide record sales of more than 68 million! Ƹ̵̡Ӝ̵̨̄Ʒ - Kylie, a Breast Cancer Survivor, is currently working on her twelfth studio album which is expected to be released in 2013. Ƹ̵̡Ӝ̵̨̄Ʒ - Kylie's latest single "Flower" is a song she wrote several years ago following her battle with breast cancer, to the child she wishes she might one day still have. My iPod is basically a 'best of' by every singer/peformer you can think of, with songs that span not only chapters of my life, but it's a collection that is so big, that to get new music in, songs have to come out, it says a lot when a song or artist survives my 'iPod Purges' which tend to occur monthly. 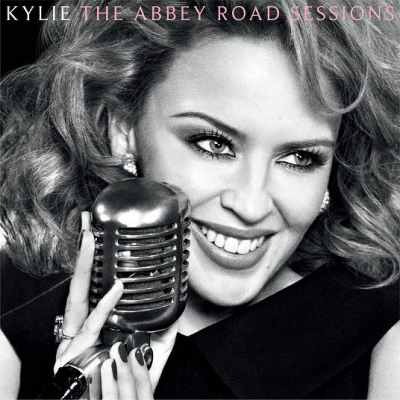 Kylie has long remained in my playlists and I recommend Kylie The Abbey Road Sessions, I commend her for not just regurgitating old songs but actually re-mastering them and giving them a whole new mood and feel. What is your favorite Kylie Minogue song Butterfly? Why? What time of your life does it remind you of? FTC Disclosure: I am a Member of the One2One Network, they have provided me with a product sample for editorial consideration, however all opinions expressed herein are 100% my own. There is an Amazon Affiliate Link in this review.